Indiana has 156 designated opportunity zones, including 153 low-income communities, plus 3 non-low-income contiguous tracts. Indiana’s opportunity zones are primarily located in urban areas of the state. Statewide, 76 percent of Indiana’s census tracts are deemed urban. 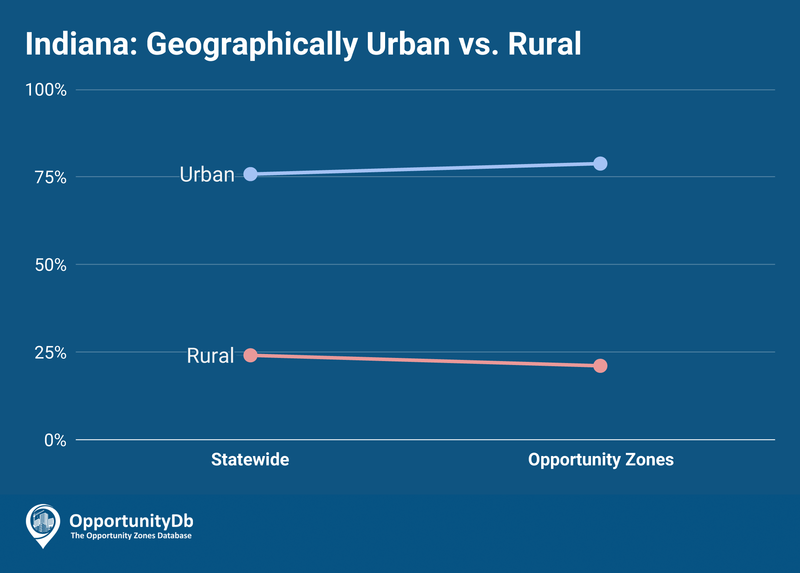 An even higher portion (79%) of the state’s opportunity zones are urban, with just 21 percent of the state’s opportunity zones located in rural areas. Urban Marion County, where Indianapolis is located, is home to 36 of the state’s 156 opportunity zones.